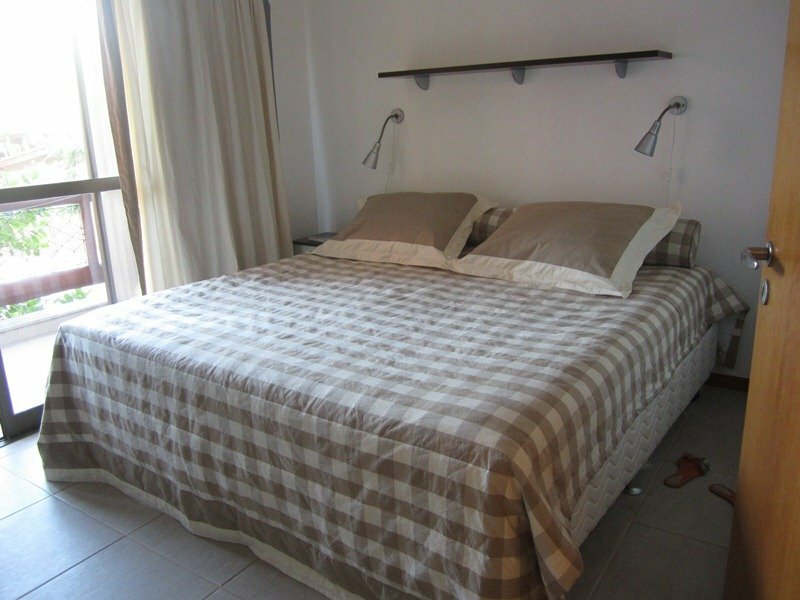 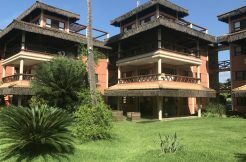 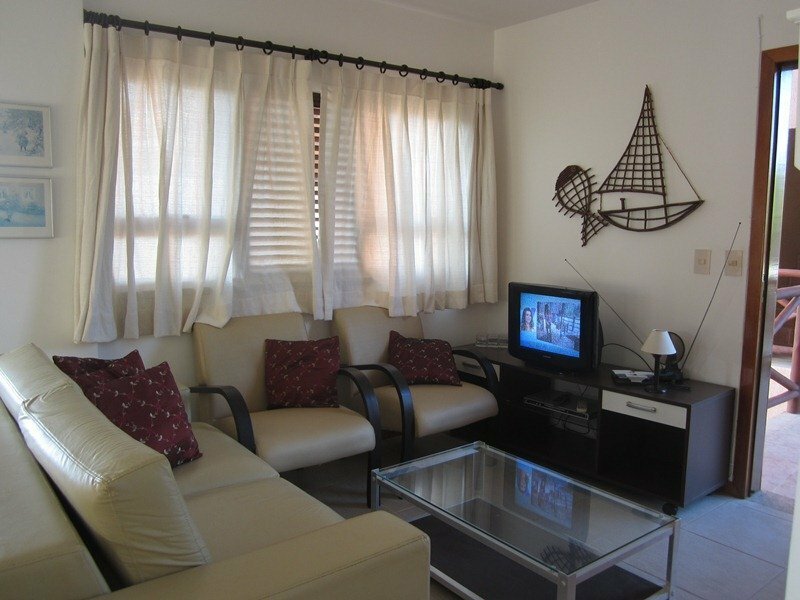 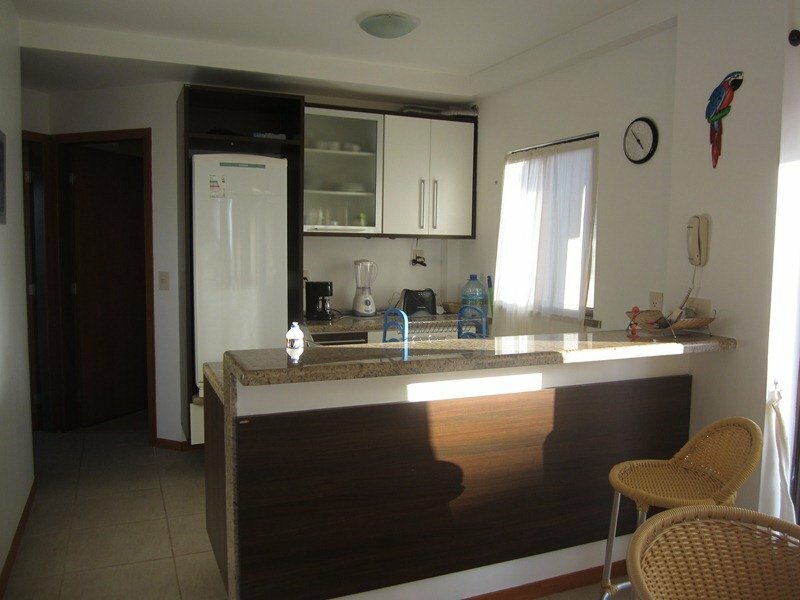 Cumbuco Dream Village 402-V is situated on first floor and is composed of 84 square meters (including veranda) with two bedrooms (one suite) with private bathroom, and one social bathroom. 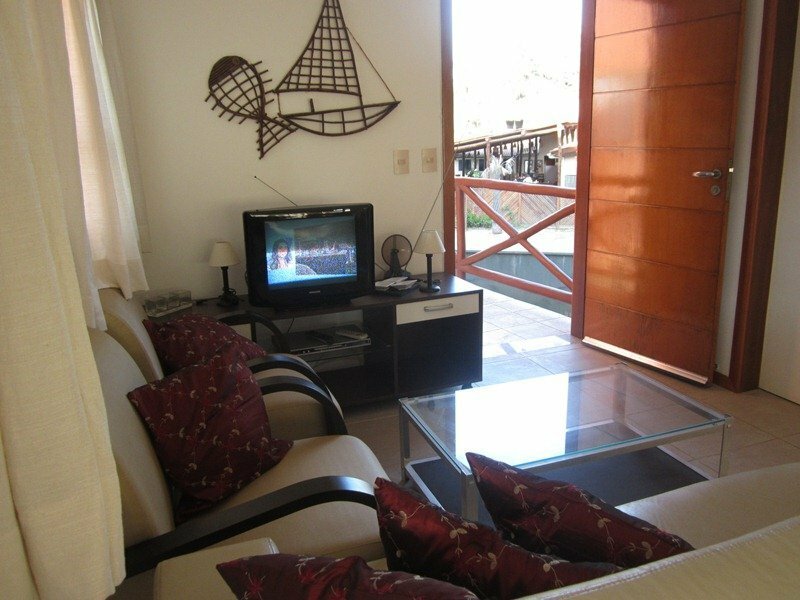 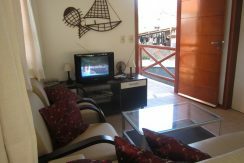 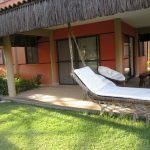 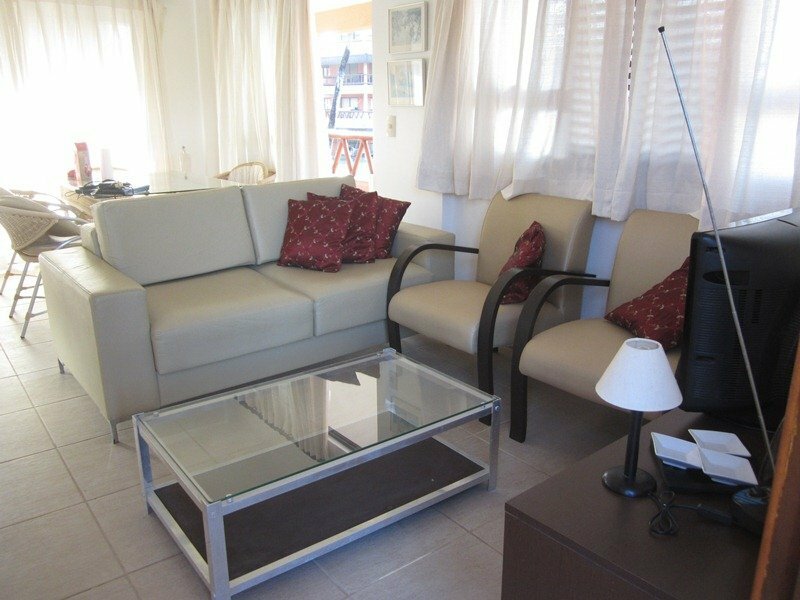 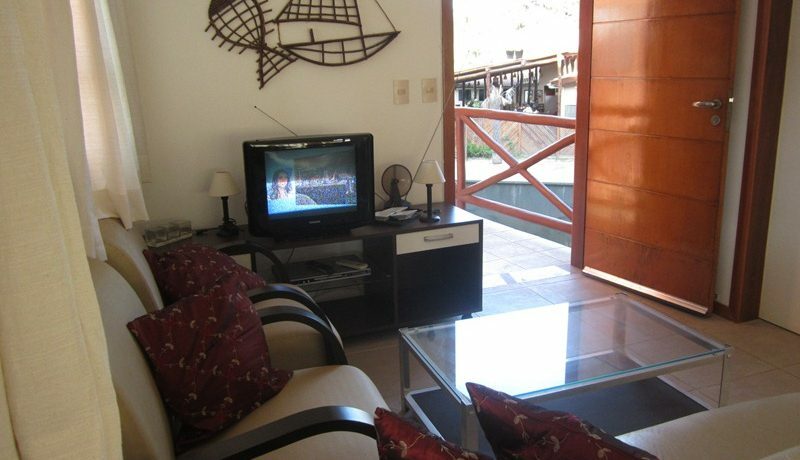 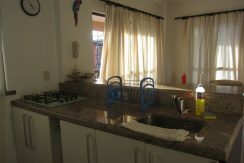 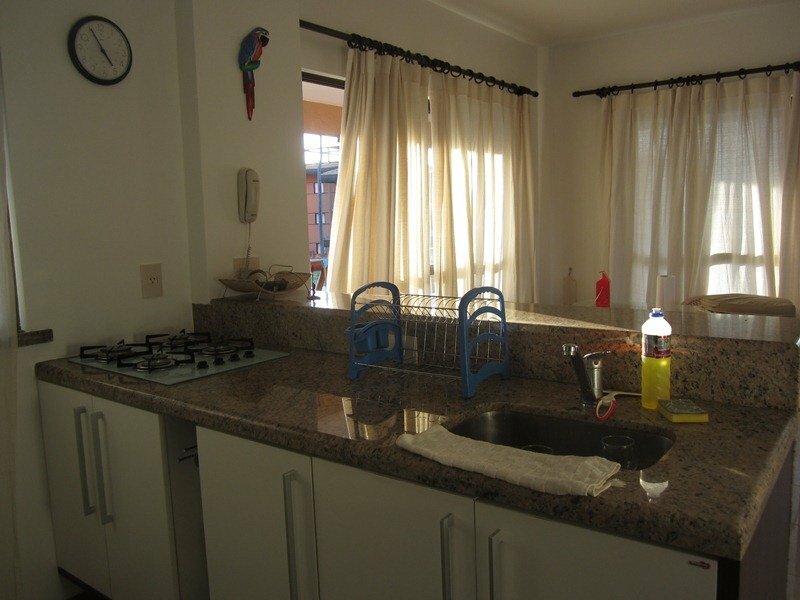 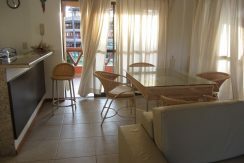 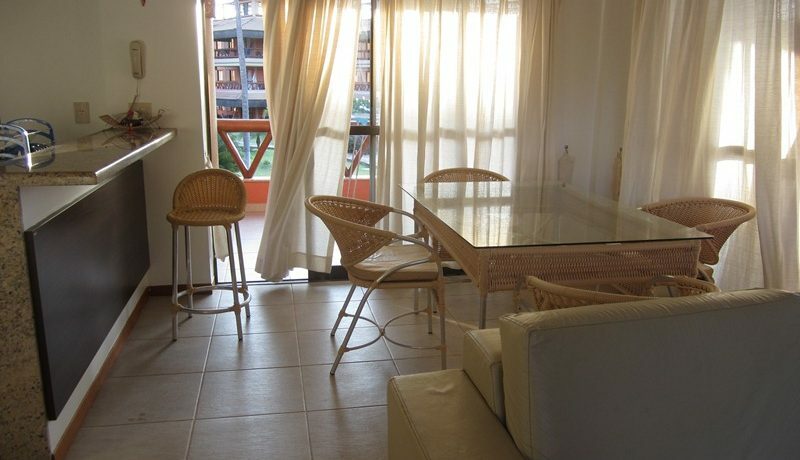 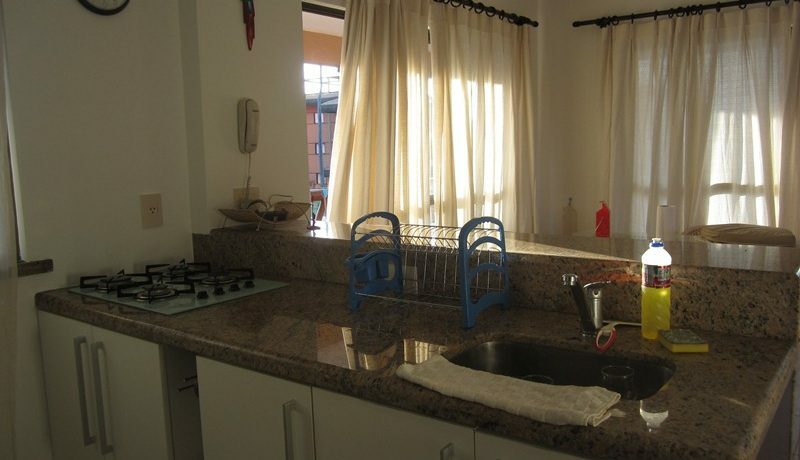 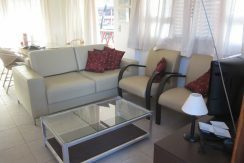 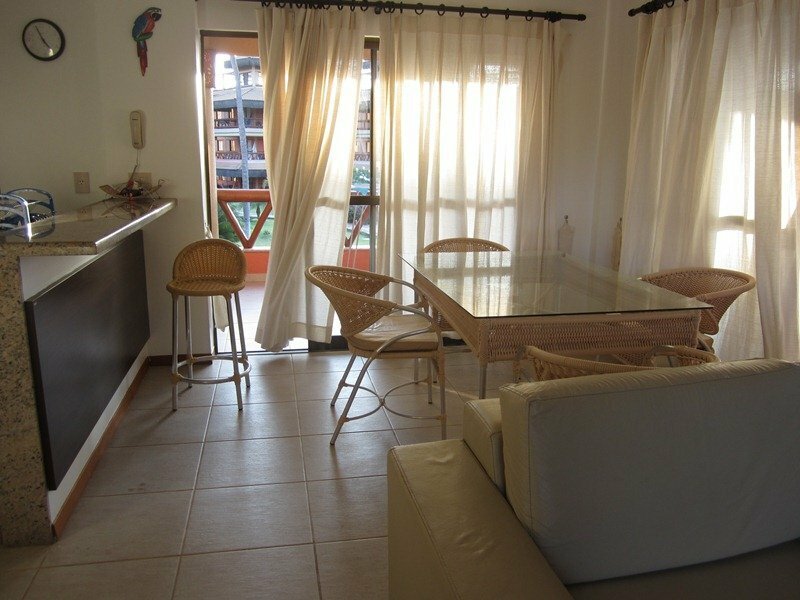 Kitchen, living-room and beautiful veranda with hammocks, chairs and table to enjoy the evening dinner or a cold drink. 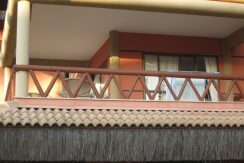 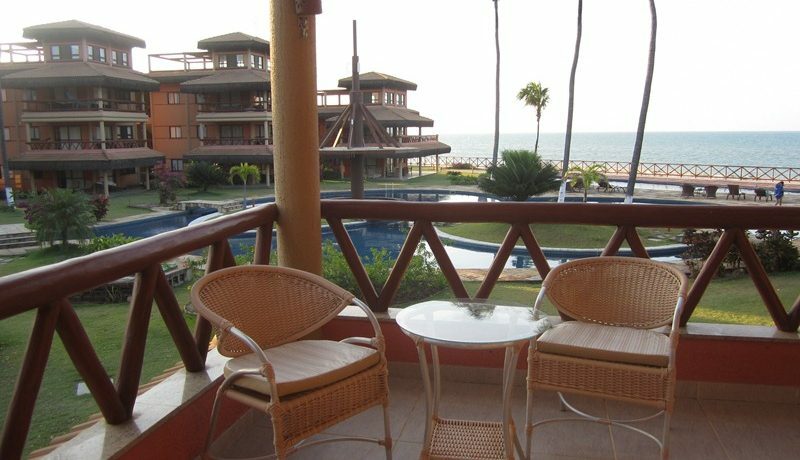 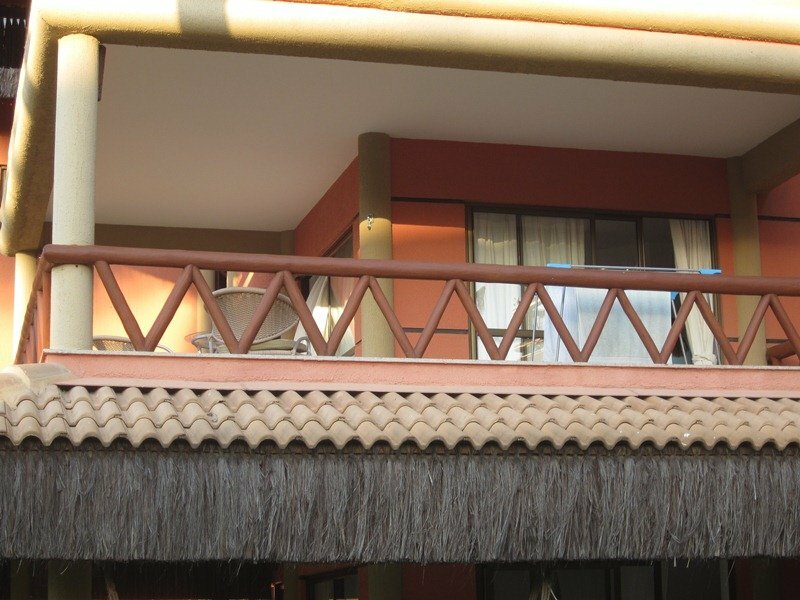 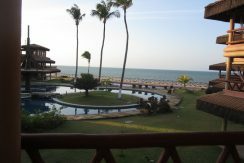 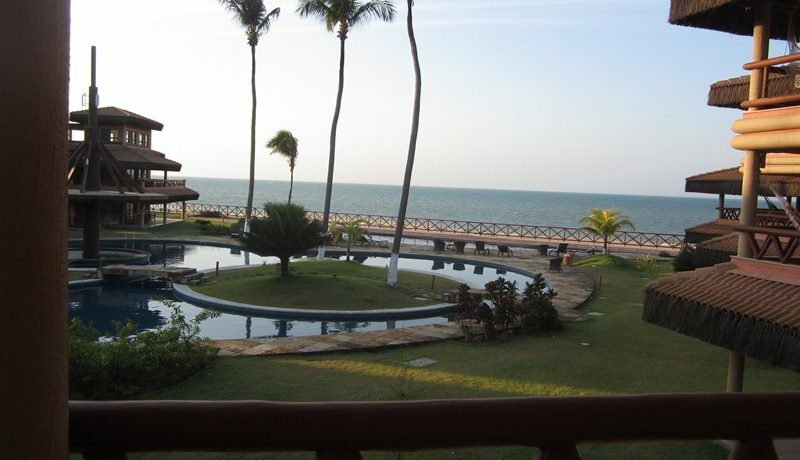 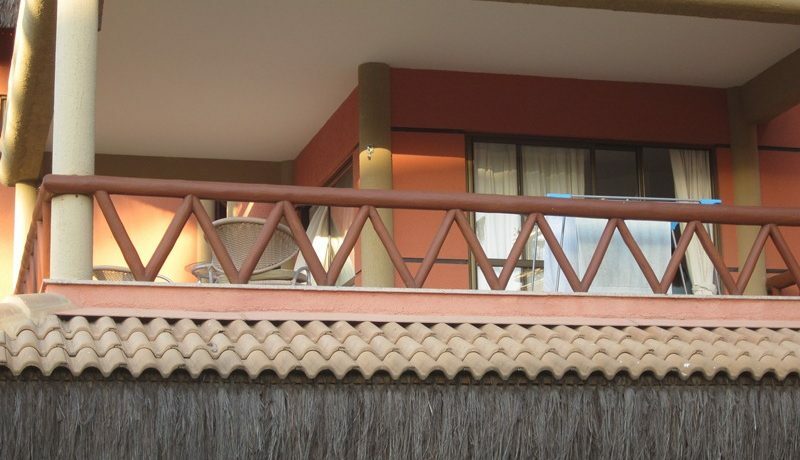 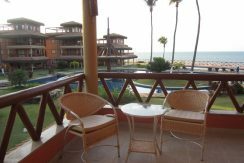 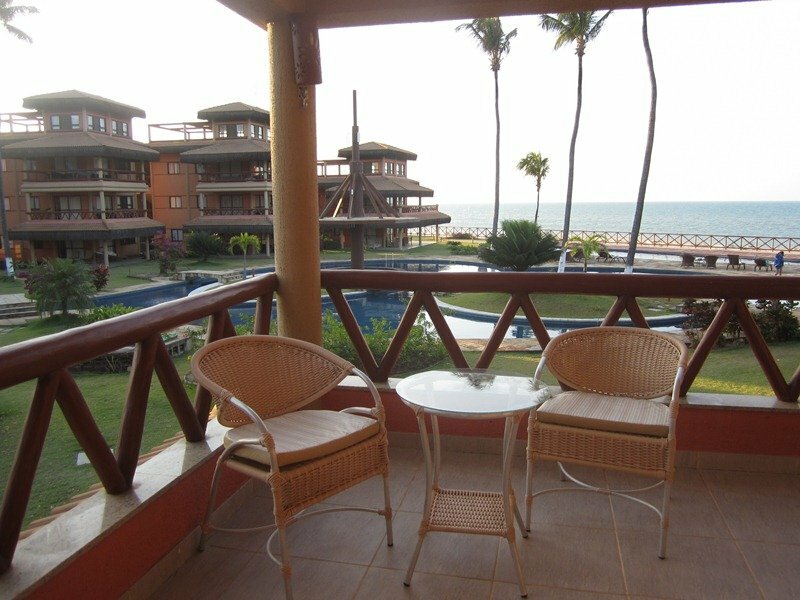 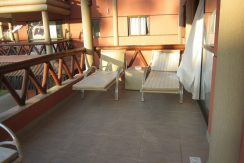 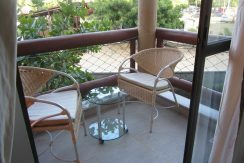 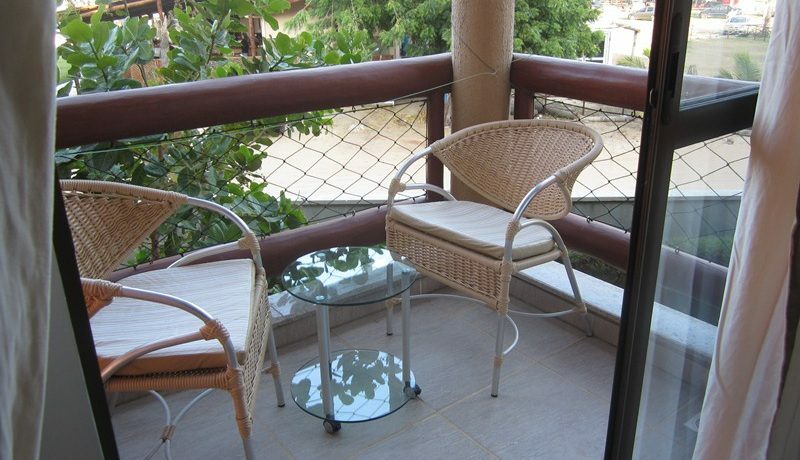 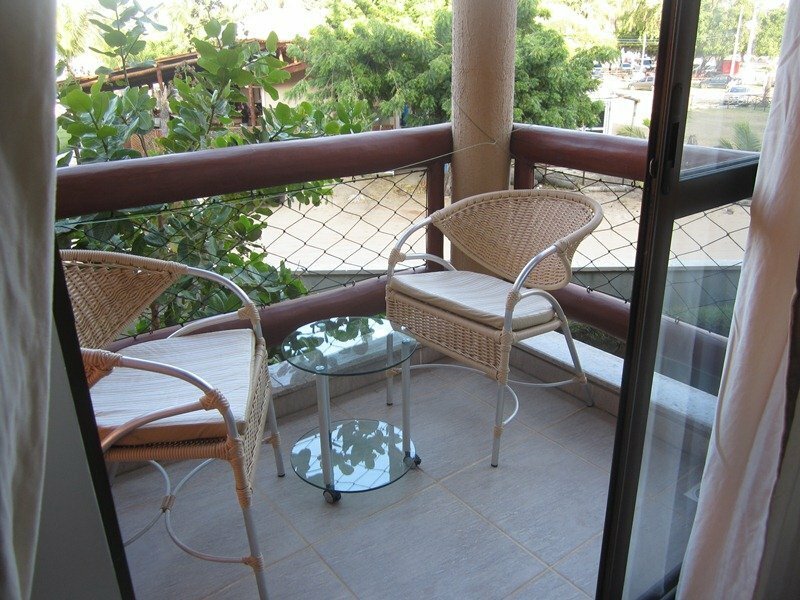 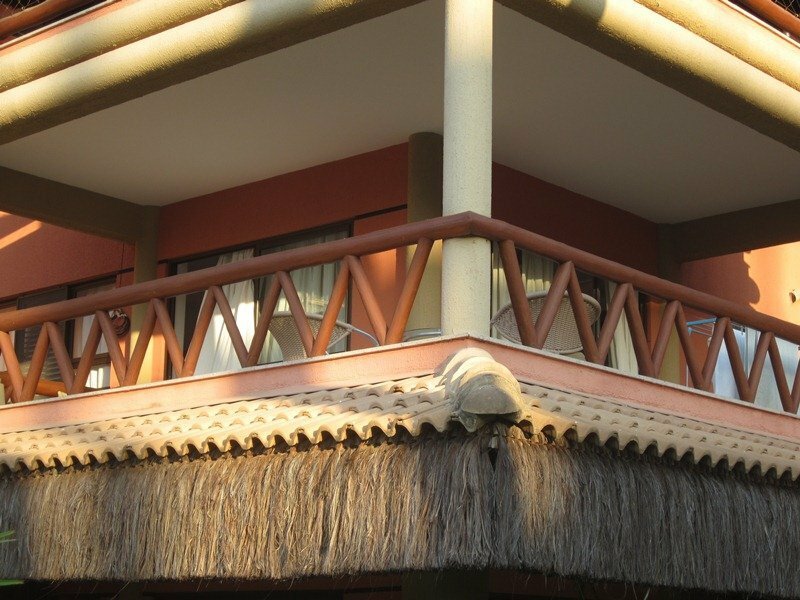 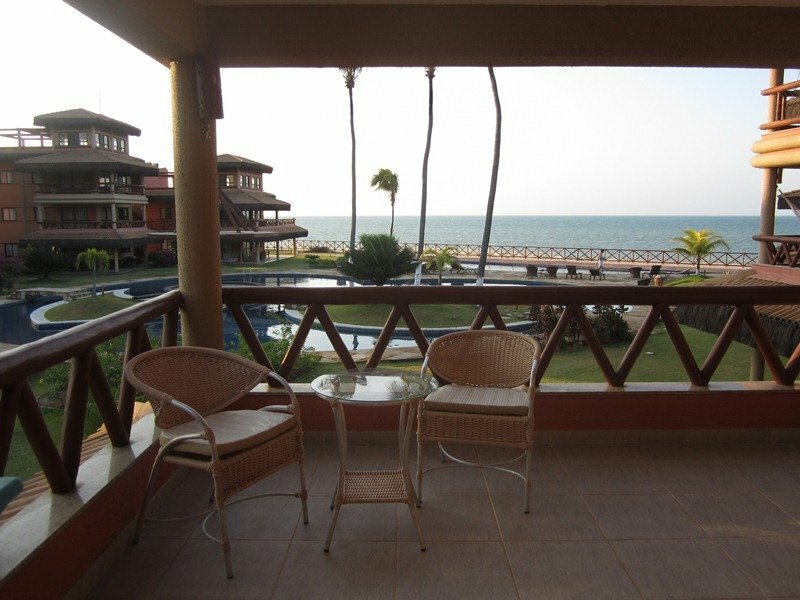 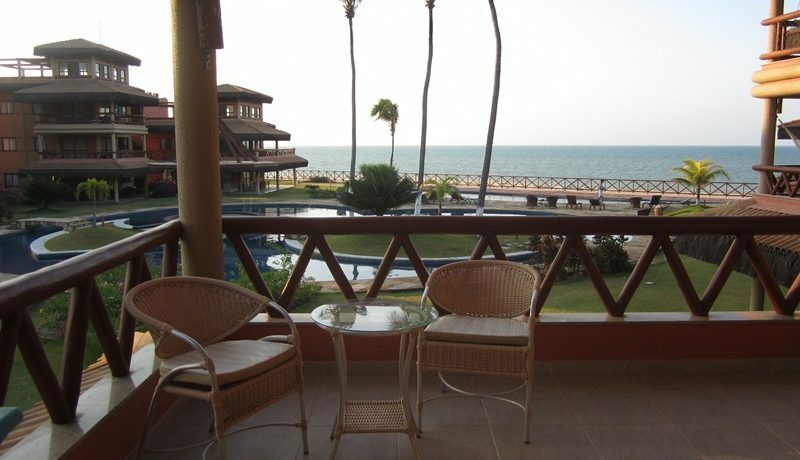 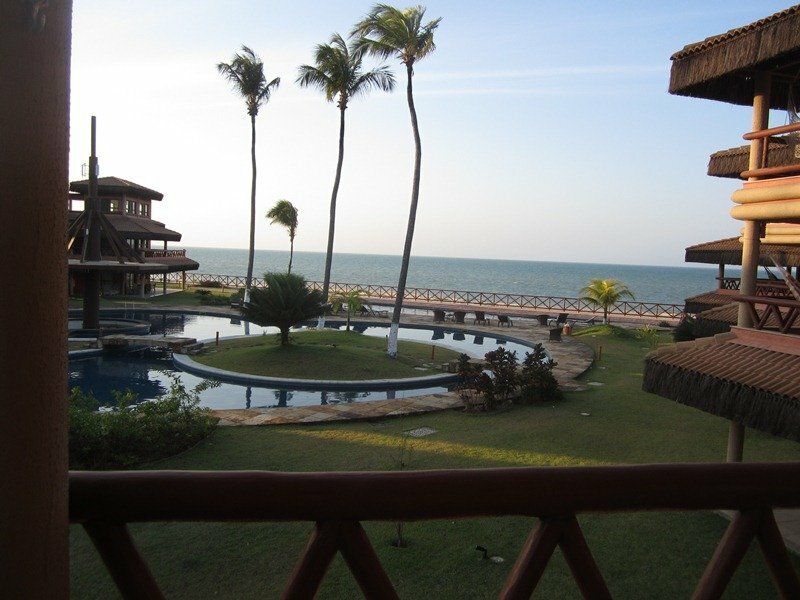 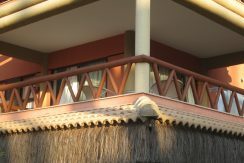 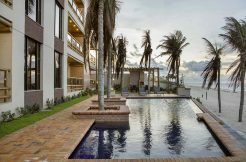 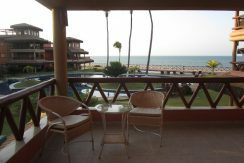 From the veranda you have a beautiful view of the ocean, the beach and the garden area of the Dream Village condominium. 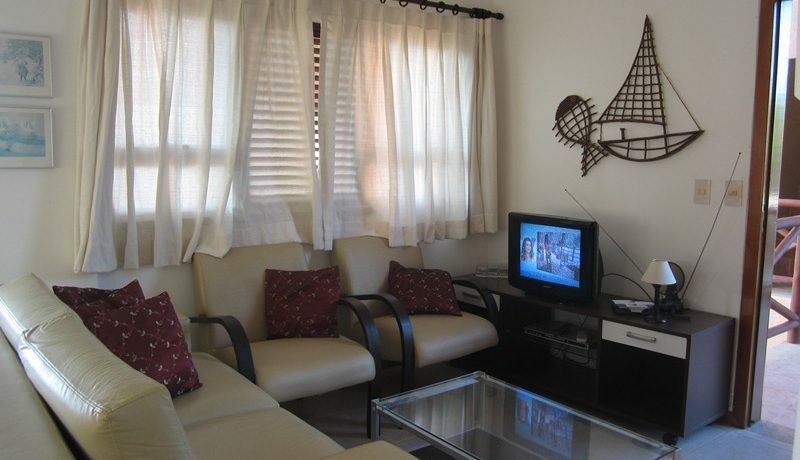 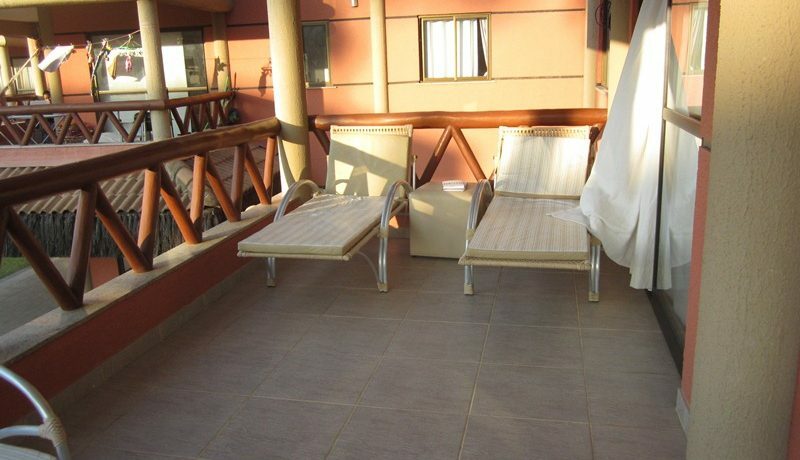 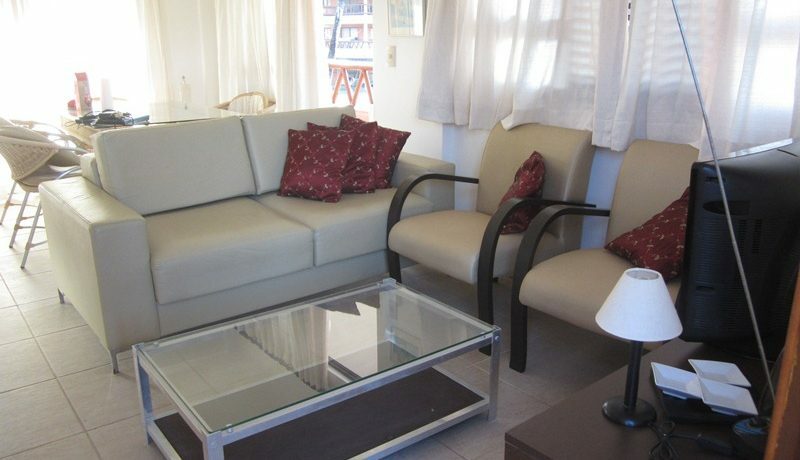 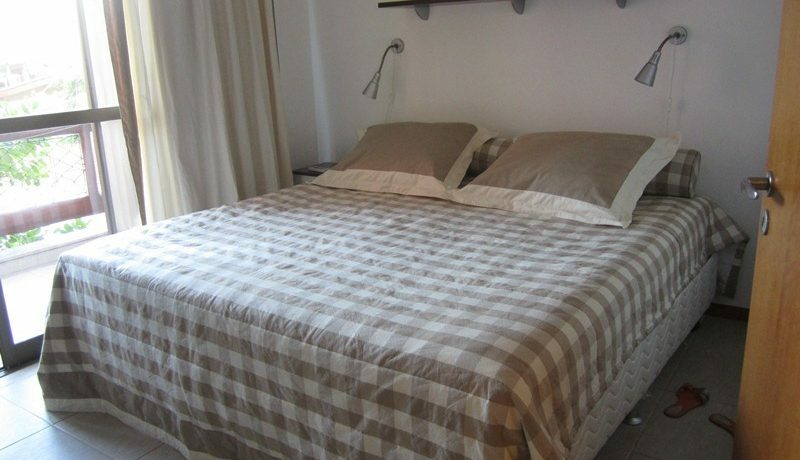 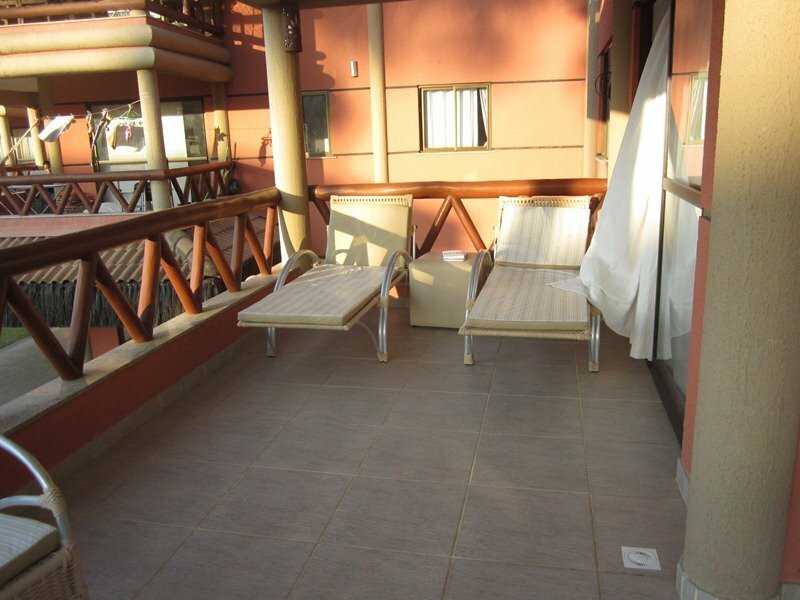 Included in the rental: Bedlinen and towels for 4 persons. 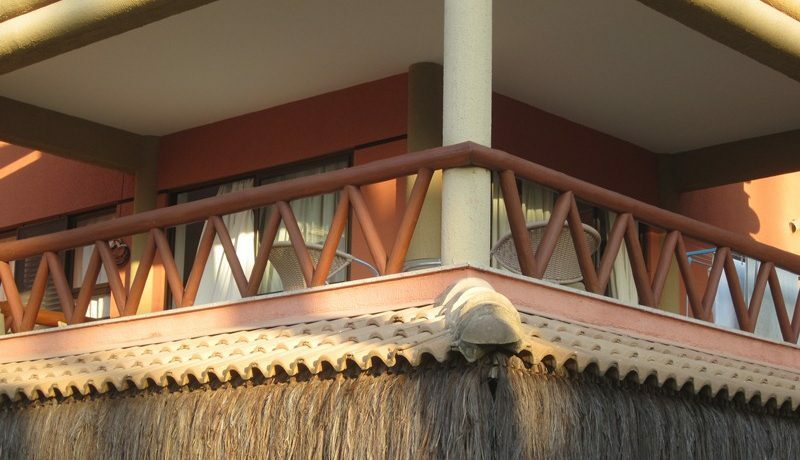 2 sets enough for one change. 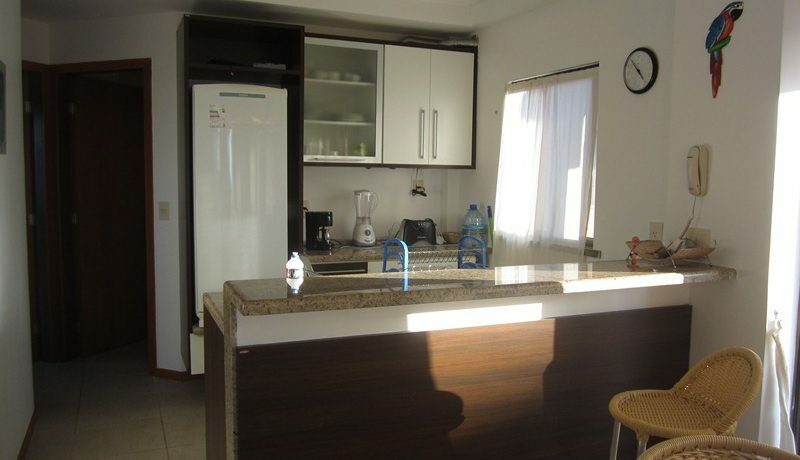 Gas and free WiFi. 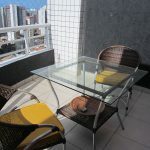 Not Included: Electricity charged at R$ 1/Kw. 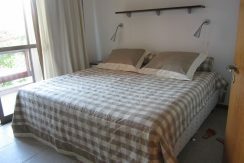 Cleaning and changing bedlinen and towels. 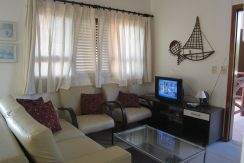 Cleaning and change of bedlinen and towels are charged R$ 30/time – please combine cleaning upon reservation. 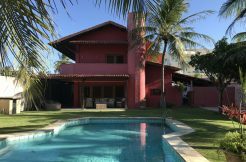 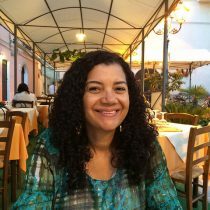 Departure cleaning is charged R$ 50,00. 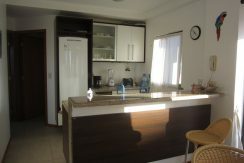 Latest check out 13:00.